Are tech ads these days beginning to blur into one? Lots of people from all walks of life demonstrating how the latest phone/tablet/laptop/web app has somehow enriched their lives, while doing some of the most random tasks ever invented. Usually accompanied by a jaunty indie track, of course. Take Apple, for example. The recent spate of iPhone commercials haven’t been shy about showing off its product’s capacity to turn its users into Inspector Gadget-style super-humans. First, there was the tech giant’s sports-centric "Strength", which tried to demonstrate how your smartphone could turn you into the next Usain Bolt. "Dreams" then suggested the iPhone 5s can help you measure wind speed, translate vital medical advice, guide pilots, help firemen, aid in horse-whispering and read the mind of a swamp. I’m not exactly sure about that last one, but I’m fairly sure that’s what was happening. It’s a format that other tech brands have also adopted. So much so, it’s making it harder and harder to tell the difference. Swap out the tech and you essentially have the same ad. The message remains the same: technology can empower you, whoever you are. The latest tech brand to adopt this style is Pinterest in its latest commercial promoting the social network’s newly-unveiled messaging feature. 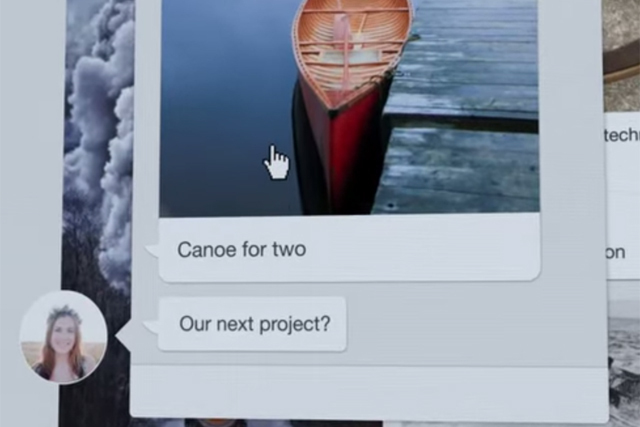 Beautifully shot and edited, "Say Hello to Messages on Pinterest" is a very stylish two-and-a-half minute product demo showing how the shiny new feature can help users organise days out, plan meals or co-ordinate work projects over pins showing kayaks, casseroles and spaceships. However, despite Kishi Bashi's excellent soundtrack "Philosophize in It! Chemicalize With It!" and the excitement around the new feature (which is attracting rave reviews), the ad has so far managed fewer than 50,000 views in over a week. While a very handsome demonstration of the product, the ad possibly lacks the emotional punch or creativity to get people reaching for the share button. Of course, it begs the question: can you have an ad that not only drives shares and views but is also an effective demonstration of the product? Do you have to sacrifice one for the other? Well, recent research from Ezgi Akpinar and Jonah Berger on ‘valuable virality’ suggests marketers can have their cake and eat it. And you only need to look at ads from tech companies such as Samsung, GoPro and Blendtec ("Will It Blend?") to see some recent examples. Apple’s award-winning "Misunderstood" also managed it. So is it time for an upgrade?